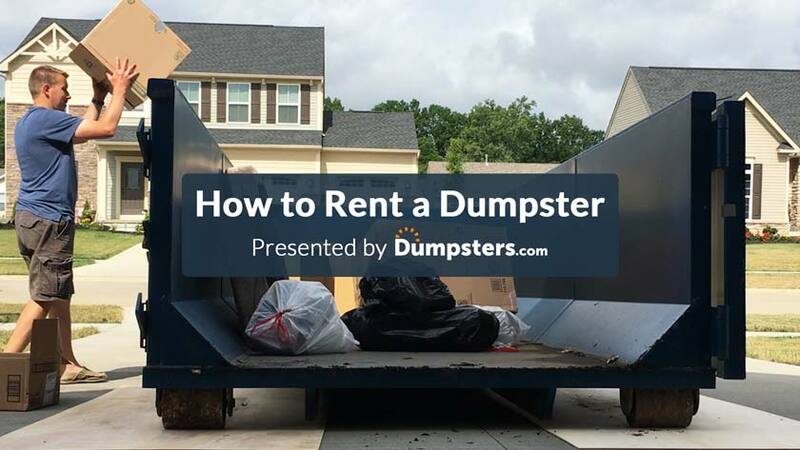 Wondering How to Rent a Dumpster? Ordering a dumpster is a pretty straightforward process. You research the rates and weight limits offered by companies in your area, call one up, choose a container size and get a quote. But as simple as that process seems, there are a few things you should know before you make your final decision. We'll walk you through how to rent a dumpster from start to finish, pointing out all the major decisions along the way. Anyone who’s planning a home improvement or cleanout project or needs to set up trash collection for their business can rent a dumpster to get the job done. 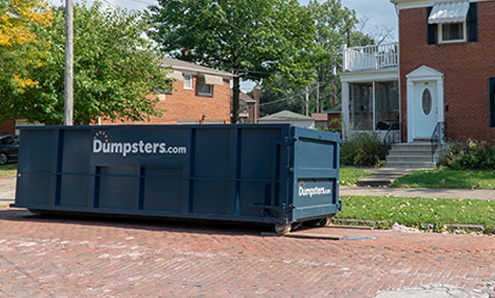 But many people don’t realize that there are two different dumpster types depending on why you’re renting. 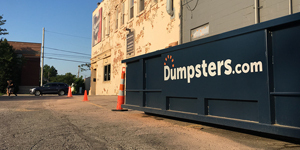 Temporary and permanent dumpsters often go by different names depending on where you live and what company you’re speaking to. Here are a few common terms you might hear. Once you know the lingo, you can move on to the rest of the dumpster rental process. Permanent dumpsters are also called: commercial dumpsters, front load dumpsters, bins and trash or garbage dumpsters. Temporary containers typically come in: 10, 20, 30 and 40 cubic yard sizes. 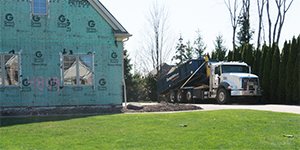 Permanent dumpsters typically come in: 2, 4, 6 and 8 cubic yard sizes. Once you know which container size you’re interested in, talk it over with your haulers to double-check it’s a good fit for your specific needs. If you’re ordering a roll off dumpster, you can use our weight calculators to get size suggestions. 10 yard containers hold about 3 pickup truck loads while 20 yard dumpsters hold about 6. 30 yard dumpsters hold about 9 pickup truck loads and 40 yard containers hold about 12. 2 yard bins hold about 24 trash bags; 4 yard bins hold about 48 bags. 6 yard bins hold about 72 trash bags while 8 yard bins hold about 96. 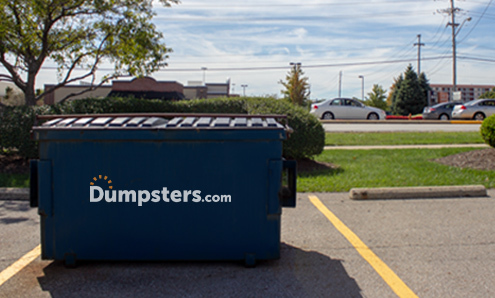 The next step when renting a dumpster is to check which companies are active in your area and what kinds of services they offer. Not all haulers offer both roll off and permanent dumpsters, so double-check that the companies you're considering provide the type of service you need. 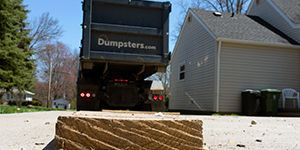 Here are some other important considerations for choosing a dumpster rental service. Is it a flat rate, meaning your quote includes all pricing factors? Or is it variable? What sizes do they offer? Do they have one that seems like a good fit for your amount of debris? Make sure you know how much weight is included in the price. This will help you choose the best dumpster size for your budget. Are their terms and conditions clear? Are they able to answer all your questions? After you've found haulers in your area that fit your needs, call them for a quote. Depending on the service you want, haulers will ask for different information to give you an accurate price. So, How Much Are You Going to Spend? 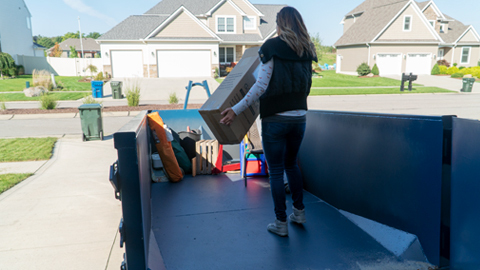 The true cost to rent a dumpster depends on a few different factors—that’s why you need to give several pieces of information when you call in for a quote. The biggest factor that affects the cost of your container is your location. What is the cost of extending the rental? Do I need a permit for a temporary dumpster? Are there any materials that I cannot put in the dumpster? Can I request additional pickups, and how much do they cost? What add-on features are available? 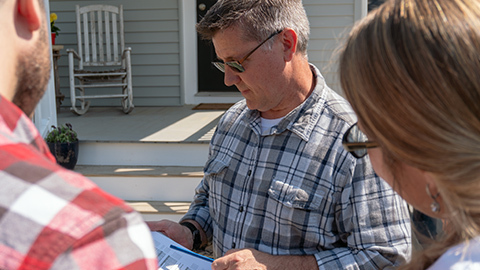 With the answers to these questions, you'll know the cost of additional services ahead of time and avoid unexpected fees. What’s This About a Permit? Don’t run out to get one just yet: in most cases, this isn’t necessary as long as you’re placing your dumpster on a driveway or other private property. But, if your container is being placed in the street or will block public property like a sidewalk, you’ll probably need a permit. Your hauler may be able to pull the permit for you, but if not, simply contact City Hall and follow their procedure. 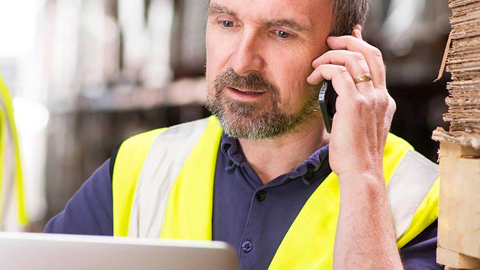 After you place your order, there are a few things you’ll need to do to make sure delivery goes smoothly. But once you’ve handled these three tasks, you generally don’t have to be home when the delivery truck pulls up, so there’s no need to take off work or rearrange your schedule. Decide where you want your dumpster placed and mark with cones. Remember it should be big enough for your dumpster size’s dimensions. The delivery truck needs a 60-foot approach to the drop spot and 23 feet of overhead clearance. Commercial bins also need a 35-foot turn radius. Make sure no locked gates or other obstacles block the drop spot so the driver can complete your service on schedule. You’ve learned how to rent a dumpster and found the right container for your needs. Now, it’s time to take out the trash. Whether you ordered a temporary roll off dumpster or a permanent front load bin, you can start filling it up as soon as it arrives.